← Bargain Bikini Season is Here! Summer’s been swell, but it’s time to stop having fun and get to work…. (not). I found a few things over the past few months that both inspire me, and assist me in my day-to-day life. 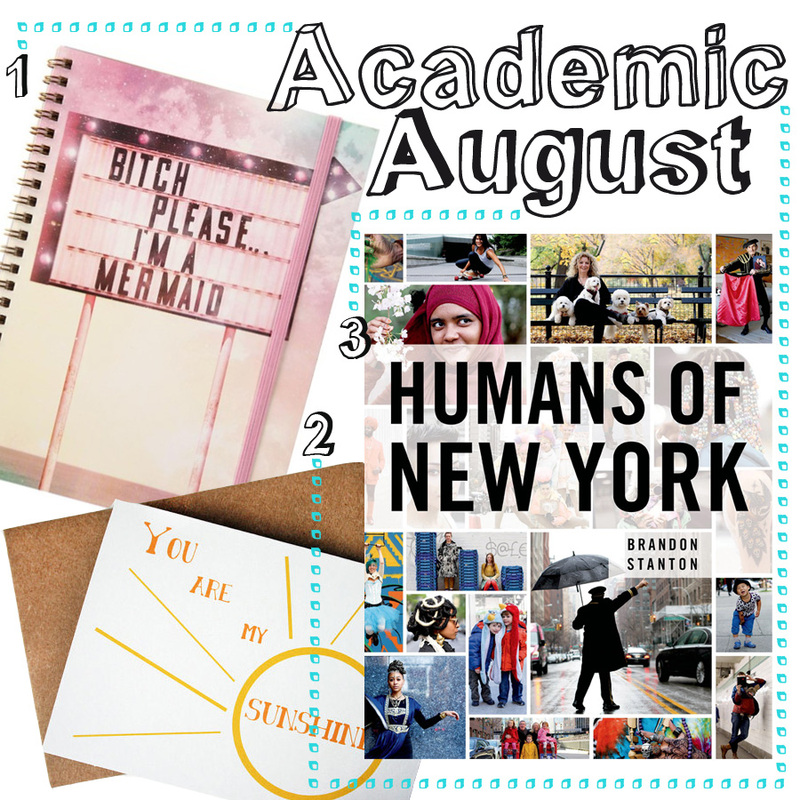 The notebook adds a little mermaid mirth to my everyday planning, I’m obsessed with greeting cards of all types (especially cards without a specific purpose), and the HONY book is especially inspiring and beautiful. If you have about 12 free hours (or you’re bored at work) check out Brandon Stanton’s website or the Facebook page that start it all – that now has over 8.8 million likes!